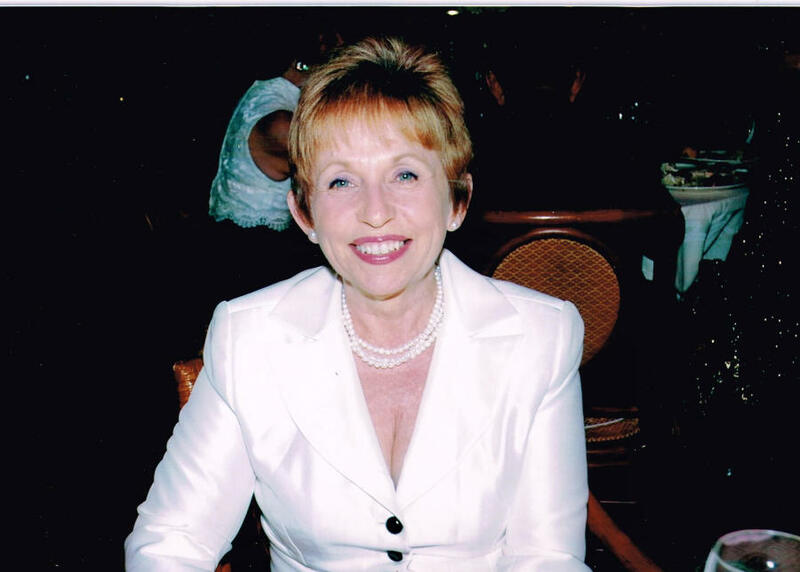 Susan Judson Bourn, age 73, passed away peacefully surrounded by family in the White Oak Cottages in Westwood, Massachusetts on Thursday, February 07, 2019. Born in Providence, Rhode Island on June 20, 1945, she was the daughter of the late Harry Pratt and Caroline (Lewis) Judson. Loving mother of Timothy Bourn and his wife Courtney Dirksen of Arlington Heights, IL and Jonathan Bourn and his wife Karen of South Walpole, MA. Cherished grandmother of Ian, Andrew, Genevieve, Nathan, and Annalise. Sister of the late Harry Judson. Also survived by her nephew, Darryl Judson of Smithfield, RI. Susan grew up in Smithfield, Rhode Island on the family farm, where she quickly learned the value of hard work, and her own industry and capacity. Susan fondly remembered her mother Caroline, who inspired her with a love of gardening and flower arrangements. She had a difficult childhood, but one of her greatest triumphs was becoming a loving, caring, and nurturing mother who broke the cycle of abuse. After graduating from Hope High School, Susan attended the University of Rhode Island from 1963-1967, and as is true for many of us, found her voice in an intellectual culture of education and academics that would define her personal and professional passion for the rest of her life. She met and married Thomas Bourn in 1966, and shortly afterward, settled in Coventry to start her professional career in public school as a Special Education teacher, and to start her family. Susan had two sons, Timothy in 1973 and Jonathan in 1976. Susan and Thomas divorced in 1984, where the two remained amicable for the duration of their lives. Susan did not remarry, and instead focused all of her efforts on her profession, and on her family. The diminutive Susan also started and championed a woman’s basketball league in Coventry, showing her passion for the game and capacity for planning and leadership. She remained close with her ‘basketball friends’ for the rest of her life. Susan eventually became an Assistant Principal at the Washington Oak Elementary School, before becoming the Principal of Blackrock Elementary School in Coventry, her crowning professional achievement. She was a transformative, passionate, and caring principal who inspired many students and teachers until her retirement in 1998. With her knowledge and experience, Susan was also a role model and vital mentor to her son Jonathan and his wife Karen, who became teachers, and eventually, building principals, unofficially making education the family business. Susan took on short term administrative jobs and consulted with good friends Tom Comiskey and Muriel Cohen, and fortunately became their neighbor in Narragansett in 1998 right as she retired. Susan loved her life in Narragansett, taking walks on the beach, meeting with friends, and getting into mischief with the Panera breakfast crew; a surly lot of retired liberal educators and therapists. Susan took this time to travel the world with friends and family, including trips to Barbados, Mexico, and China. In 2006, Susan became a grandmother for the first time with the birth of her grandson Ian. She was a fixture in Ian’s life, and took care of him and his exhausted parents for several years. She became a grandmother again in 2008 with the birth of Andrew, and continued to be an important presence in their early lives, taking the name of ‘Grandma Sue’. In Chicago, she was known affectionately as ‘Magga Sue’ to her grandchildren Genevieve, Nathan, and Annalise. All of her grandchildren fondly remember their visits to Narragansett, which became known as Grandma Sue’s beach. Every beach visit was followed by vanilla ice cream, a rule that was etched in stone. The beach house in Narragansett is filled with treasures from her grandchildren during these years, and Susan’s house became the spiritual and emotional hub for her family. Susan began to show signs of decline in 2013, and was eventually diagnosed with dementia. While she may have forgotten your name or where she was, she remained positive and loving to everyone she met; a testament to her genuine nature. She eventually resided at the White Oak Cottages memory care unit in Westwood Massachusetts, where she received incredibly thoughtful and compassionate care that came to love her and her charming personality. Susan dedicated her entire life to children, and in defense of the underdog. Susan worked in Special Education as an early champion and advocate of the disadvantaged, neglected, and abused. This passion for teaching also shaped the lives of her grandchildren, who remember her reading books for them and providing them with access to opportunities to find their voice and talent. As the matriarch of her family, she unapologetically defined modern feminism, and taught her sons to respect women, and women in authority. Breaking the cycle of abuse that defined her childhood, she raised her two sons with strong ethics and morals to do the right thing when no one is looking, and to be true to oneself. Unsurprisingly, Timothy and Jonathan married women in the mold of their mother; short in stature, highly intelligent, and unswerving in their determination. Relatives and friends are kindly invited to attend Susan’s Life Celebration on Sunday, February 10, 2019 from 12 to 4 PM in the James H. Delaney & Son Funeral Home, 48 Common St. Walpole, MA. A celebration of life will be held in Narragansett at a date and time to be announced. In lieu of flowers, memorial donations may be made to The University of Rhode Island Foundation, P.O. Box 1700, Kingston, RI 02881.